All along, Ayla wanted to do one thing to this world, one thing she never dreamed she could do to the one where she was born. She wanted to make it better, make it into something respectable, rational, modern. She never expected it to be easy, but she always thought she had both the knowledge and the determination to achieve her aims. Now, with the help of her apprentice, Niel, she hopes to carry the light of science across the bridge from her world to this one, as she tries to reinvent a society and herself. 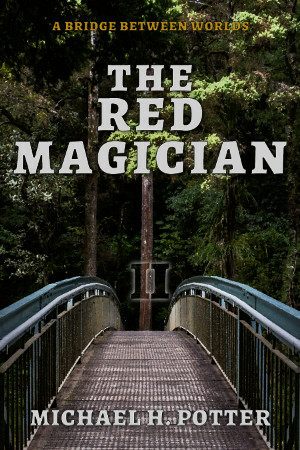 As always, the Otherworld tales are Patreon exclusives, and a pledge of only \$3/month gets you access to “The Red Magician” and a total of 9 other stories in the series. If that’s not enough to convince you to join me on this road, remember that the same money also lets you download DRM-free copies of all my other novels and short stories, including Nocturne, The Linear Cycle, and much more. Next up is “The Control Variable”, coming May 22. Keep reading, and I’ll see you then! With the recent Patreon release of my novel Innocence Reborn, I want to take a closer look at the setting I’ve created for the series as a whole. After Otherworld, it’s second in terms of level of detail, and being a futuristic science fiction setting means it requires a completely different sort of worldbuilding. So here we go. This may or may not become a regular miniseries. We’ll just see where it takes us. By the way, this post is obviously going to have major spoilers for the book, so you can’t say I didn’t warn you. Although it’s never explicitly stated in the text (mostly because I don’t want it to be too obvious when I get it completely wrong), I do have a sketch of the setting’s timeline. The Innocence Reborn prologue, for instance, is supposed to take place in the year 2432, while the main body of the story is set over a century later, in 2538. Plenty of time to develop technology, etc., but not so much that humanity is completely unrecognizable. That was what I wanted, though I did have to make a few assumptions to get there. Almost all of those are currently backstory, and we’ll get to them a bit later. Before that, I do have to mention one of the most fundamental conceits of the setting. See, it’s intended to be slightly “harder” than a space opera, in that most things are within the laws of physics as we know them. There is faster-than-light travel, because that’s central to the story I wanted to tell. And that causes a bit of trouble with causality and even basic timekeeping. So 2432 is the time on Earth, but current physics tells us that ships traveling FTL would effectively be going back in time, which makes things difficult. Well, that’s because of relativity, and the handwaving for Orphans of the Stars is that relativity isn’t quite correct. You’ve got a few loopholes, so to speak. (Behind the scenes, the story universe is, in fact, a simulation that explicitly or accidentally allows such “exploits”. The characters don’t know this, of course.) It also means there’s something like a universal or preferred reference frame, which may or may not solve the timing problems. Now, on to those assumptions. The other ones, I mean. As I said, FTL travel is possible in the Orphans universe. It’s not instantaneous, but it is possible. That opens up the galaxy to human exploration and colonization. And that leads to the next big assumptions. First, Earthlike planets are relatively common, especially around G, K, and M stars. This is a simple extrapolation of current findings; estimates using data from the Kepler mission indicate that the Milky Way could host billions of terrestrial planets, with a fairly good percentage of stars having them in the habitable zone. And that’s not counting those slightly smaller than Earth orbiting medium-size stars like ours. Second, and less supported by the data, is the idea that life is also relatively common in the universe. The vast majority is single-celled (or the equivalent); sentient, advanced aliens are considered fiction even 500 years in the future. Spoiler: boy, aren’t they surprised? Other assumptions include simple, workable fusion power, ramped-up manufacturing capabilities (including orbital and deep-space), ubiquitous computing, usable cryogenic suspension, and quite a few other technological improvements. On the other hand, I assume that genetic engineering doesn’t become a huge thing—it’s mostly used for treating diseases and disorders rather than making wholesale physiological changes—and AI never gets to the “destroy all humans” stage. Yes, there are expert systems, and automation has made many jobs obsolete, but human decision-making still beats that of computers. It’s just that AI simplifies things enough that even a bunch of kids can fly a spaceship. More importantly, there are a few sci-fi staples that don’t exist in this setting. Chief among those is artificial gravity: when the Innocence (or any other ship) isn’t accelerating, the people inside are weightless, and that causes problems. Well, problems and opportunities, because we are talking about a bunch of kids. Also absent are tractor beams, shields, transporters, and other such “superscience”. Terraforming is possible, but it’s been avoided so far out of respect for native biospheres. Antimatter is horrendously expensive, and more exotic particles are as useless commercially as they are today. Nanotechnology hasn’t advanced quite as much as one would expect, and cybernetic augmentation, including direct neural interfaces, ultimately turned out to be a fad. I could have gone all out on this setting. I could have made it one of those where it’s so far into the future that it’s effectively magic. But I didn’t. I didn’t think I could pull it off. 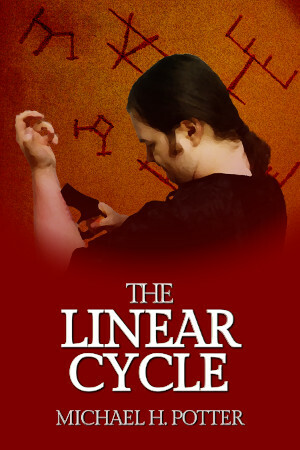 Mostly, this series started out as an idea I had when writing Lair of the Wizards, a fantasy novel I’m putting out next month. That story is set in a borderline-Renaissance world where people with advanced technology existed, and they left some of it behind. It’s Clarke’s Third Law, but seen from a different point of view, one where we are the sufficiently advanced race. By and large, the characters are children, adolescents, or young adults, and that made me wonder if I could write an adventure-filled, yet still scientific, space drama revolving around characters of similar age. As it turns out, I can. Maybe it’s not good, but I like it, and I’ve always said that I write stories primarily for my own enjoyment. The same is true for the settings themselves. Just as Otherworld is my linguistic playground, the Orphans universe (I still need a catchy name for it) has become my futurism playground. It’s where I get to play around with the causes and effects of science and technology, then go and write books about what happens when a bunch of kids get involved. And that’s what I’ve done. In fact, two days before writing this, I finished the sequel to Innocence Reborn, titled Beyond the Horizon, and I’m already coming up with ideas for Book 3. Settings can be as deep as you want to make them. With this one, I’ve found one where I just want to keep on digging, and so I will. With this post, I’d like to begin taking a closer look at Virisai, the first of many constructed languages I created for the Otherworld setting. Along the way, I would also like to justify some of the design decisions I made, but we’ll take that as it comes. Within the confines of the setting, Virisai is the effective national language of the kingdom of Vistaan. Its speakers, numbering about a million, are genetically similar to modern-day Native Americans, though there are a few changes here and there, owing to the 10-12 millennia of separation. They are, however, fully human; this is not an alien language, as far as that goes. Thus, none of the sounds are impossible for human mouths to pronounce, and the general grammatical concepts are close enough to those of Earth languages to be recognizable. Externally, I started the language in 2013 as part of the “linguistic playground” that was my original vision for the Otherworld setting. For the most part, I always intended it to be the “base” language for the story, the one that would be met earliest and most often. (At the beginning, I also envisioned a kind of pidgin or creole variant, but I scrapped that as I developed the conlang.) The idea of multiple fantasy-like—yet still human—races inhabiting the same world also arose around that time; Virisai is thus the primary language of the “normal” humans of the main story area. As I have expanded my worldbuilding to encompass other areas, I’ve had to revise my original outline, but the core has remained the same, and this conlang has stayed at its center. As I have said, I wanted to make something that seems natural enough that it doesn’t strike the reader as obviously constructed, but also simple enough that a group of ordinary American college students could achieve a decent comprehension after no more than 80 days of immersion. Most of them are monolingual, with their only real exposure to learning another language coming in high school, but a few are different. Sara is fluent in Spanish, for instance, and Ramón obviously is as well. Jeff, of course, is the “token” linguist character; his job for most of the early series is that of the translator, the interpreter, and he doesn’t always pull it off. Everyone, though, is basically starting from scratch. The vocabulary of Virisai bears no resemblance whatsoever to English or Spanish. Or, for that matter, Japanese (Alex likes manga) or even Navajo (Lee’s great-grandfather was a code talker in WWII). That means that, early on, there’s a lot of pointing and grunting, the kind of first-contact stuff that most TV shows and movies gloss over. But the characters eventually get past that, and they start to learn a bit about the speech of their new world. In general, most consonants can show up anywhere, but the palatals (/ʃ ʒ tʃ dʒ ɲ/) are mostly forbidden from ending a word. An exception is the “good morning” greeting araj, which is a colloquialism. An English analogy might be yeah, which ends with a vowel not normally found word-finally. One aspect of Virisai that makes it a little more difficult is the wide variety of consonant clusters it allows. These are no more than three consonants at a time, and at most two at the beginning or end of a word, but there’s an awful lot of them. Vowels, by contrast, are relatively simple. “Standard” Virisai only has five of them, and they’re the basic five you know and love: /a e i o u/. There is a length distinction, which is tough to master, but I didn’t go with anything outlandish here. Mostly, that’s personal preference, as I find it hard to consistently pronounce about half of the IPA vowel chart; I don’t mind saying the characters have the same problem. I did, however, add an extra wrinkle. Every language has dialects. One spoken in a pre-industrial society, where mass media is absent, the printing press hasn’t been invented, and 50% is a high literacy rate for adults, is bound to develop them more readily. So it is here. The western part of Vistaan (coincidentally enough, exactly where the story begins) has a slightly altered dialect. There, a set of front rounded vowels has developed from combinations of /j/ + /o/ and /u/, and this is reflected in the orthography. (For example, one native character, Nuelossin, has his name shortened to Niel by those who can’t pronounce [ɲyːˈlosin].) A few words are also different, but this hasn’t really come into play just yet in the story. All in all, I think Virisai succeeds at the goals I set out for it. We’ll go over the grammatical details in a later post, but just from the phonology, I hope you can see what I was trying for. This could have been something complex, baroque, nigh unpronounceable, but I just didn’t go there. And that’s for multiple reasons. First off, I don’t really like languages that I can’t pronounce. I don’t like throwing in a hundred consonants and fifty vowels just because they look cool. Give me something relatively simple (though it doesn’t have to be too simple), something that makes sense. If there are weird sounds in there, give them a reason to exist. That’s what I did with the Virisai /v/, which is usually realized as [̞β]. It’s there, and it’s a little odd, but I rationalize that by saying it was lowered from /β/ at some point in the past; at some point, it also merged with /ɸ/, but that came after the language’s script was created. Hence, some words are actually written with an initial f, but it’s pronounced like /v/. Finally, keeping the phonology of this most common and most important conlang simple makes it easier to write. I did give the orthography a few curveballs, like how the long vowels are written (aa ei ie oo ou) or the way the palatals come out (ci j si zi, except before /i/ or /e/). Sometimes, that even trips me up, and I’ve been playing with this thing for five years now. Story-internally, I handwave that as Jeff being inconsistent; externally, I just wanted something that looked different without resorting to diacritics. I like to think I succeeded, with that and with the other aspects of this conlang. Later on, though, I’ll start looking at the grammar, and I may revise my opinion.